It’s been eight months now since I signed up with WordPress and started on my adventure in blogging. I remember checking my settings to make sure it was set at ‘private‘. I had no idea where I was going with this. ……. And now?! Now I’m enjoying the blogging friendships of people all over the world! I’m learning about other parts of the world and their customs. I’m inspired by the stories of those who had the courage to reach out and share their ‘profiles in courage’. I’m reading fiction/non-fiction of awesome writers who are on their journey to publish their books. Blogging is inspiring and empowering in so many ways. 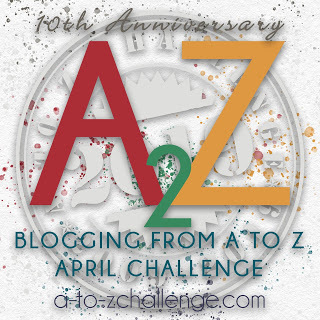 The event that’s really got me hooked on blogging is the AtoZ Blog Challenge that just came to a conclusion this past April. I had a theme for my challenge which made it possible for me to get focused and to document some thoughts I wanted to share with my children and grandchildren. I just can’t praise the AtoZ Challenge Team enough for its organization, its professionalism, its creativity and its community spirit. Recently I came across this service Blog2Print which allows you to print your blog into book form. The idea of putting My AtoZ Challenge into book form was something I’d thought about so I took a look at it. I’m so pleased with the results and now will have a hard cover copy. The videos and the links I’d included in my blog posts on AtoZ weren’t able to be printed. It’s still a treasure for me to have. Take a look at a few sample pages! Take a look at 15 Reasons I Think You Should Blog! Joshua Becker hit the nail on the head with each of these reasons. If you haven’t started yet, my recommendation is to go with WordPress. I’ve enjoyed this whole experience even more because of the great team at WordPress.